Another week, another series of stories we are enjoying in the Village! We are very proud of our Little Miss World 2018 Grand Prix, Miss Tyra Odeny and our mum stories that keep inspiring the community that it takes a Village! 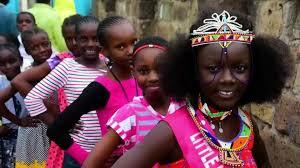 A 12 year old Kenyan girl was crowned “Little Miss World 2018 Grand Prix” in Thessalonika, Greece. The festival took place between September 24 and September 30 in which Tyra Angel Odeny scooped the crown and 500 Euros. We are proud of Tyra for flying the Kenyan flag high and aiming for her dreams at such an early age. Work Out Exercises to Relieve Back Pains. Back Pains are such a damper to our lives and working environments and especially for many of us who have a desk job. They are especially a tussle to pregnant and nursing mums as they journey through motherhood. This Pregnancy and Mums fitness work out by Thitu Kariba from Fitness for Two shows you the different ways you can exercise and move your body to bring relief to your back. As a Single Mom, You really need a Tribe. It can be isolating trying to bring up your kids as a single mum especially in their young formative years. There are school events to attend, play dates, and at times you just want to hang out, unwind with friends that truly support you. Read Melissa Stephenson’s article on how she found her tribe, and found stability in friendship as a new divorcee here. Being yourself unapologetically is key to living your best authentic life. Find out from Cynthia on 90 Shades of me here on how she does it all.